Whether you are an avid reader or a company professional who constantly finds themselves on the move, PDF reader is a must for you. PDF is a universal format and widely used by eBook writers and companies alike. And why not? They are portable, easy to make, and even easier to share. The trouble is that when you buy a new iPhone or an iPad, the device is not shipped with a PDF reader by default. No, iBooks doesn’t count here even though it may support PDF files. What you need is a decent solution that is light-weight, packed with useful features like highlighting, bookmarking, dictionary, signing, annotating, and social sharing options on the least. 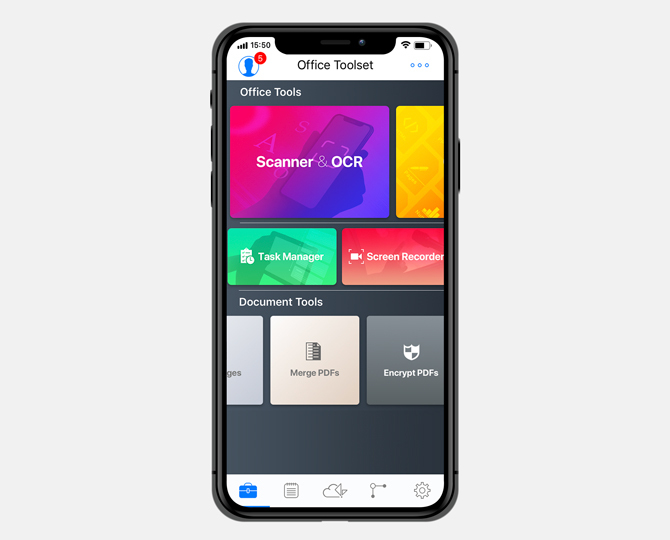 Considering how iPhones and iPads have become the Swiss army knife that all of us carry and use for pretty much everything, you need an app that works right out of the box. 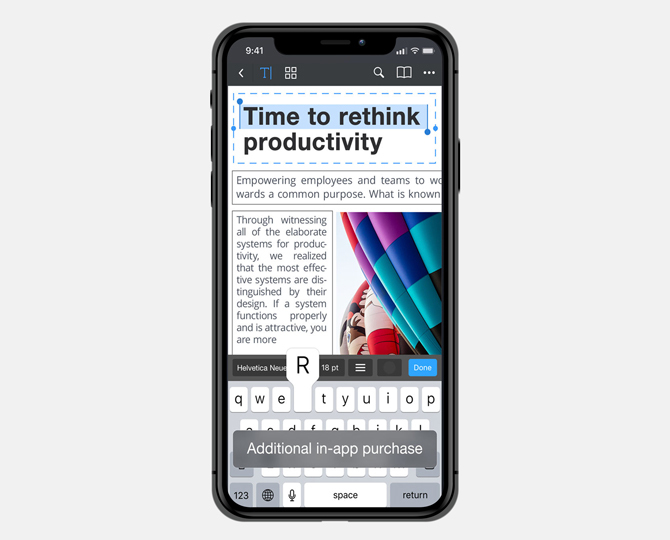 Let’s take a look at some of the best PDF reader for iPad and iPhone (or PDF viewers as some users like to call them). You saw it coming even before started reading this article, didn’t you? Adobe Reader has become an industry standard and for good reason. Adobe pioneered the PDF format. As such, you can expect all the basic features to be there. The app UI is beautiful and functional. All the features are easy to find and buttons are neatly organized. You can read PDFs either by page or in continuous scroll mode. There is a search bar for searching text. 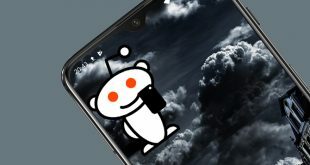 There is the dark mode that has become all the rage. You can bookmark pages so that you don’t have to remember how far along are you in the story. Links in the PDF will open in Safari browser. Liked something you read? You can highlight the text or add comments/thoughts on it. 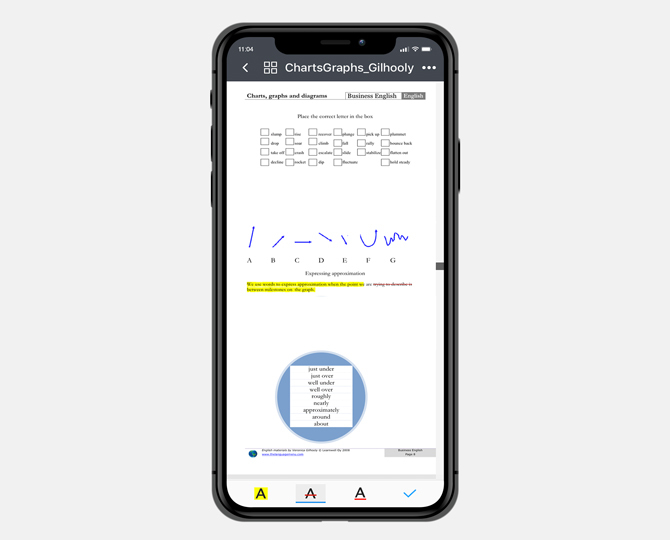 Professionals will be happy to know that you can fill in and sign PDF docs right on your iPhone or iPad now. Finally, there is the annotation tool that will let you draw over PDF pages using your fingers or Apple Pencil in iPad Pro. There is also the ability to share your PDF docs with others so that they can view your comments and know what you think. The Pro version of Adobe Acrobat (starts at $9.99) will let you convert PDF files to Word, Excel, PowerPoint format and merge multiple PDF files into one. I would like to mention the Adobe Scan app here that can scan and convert images into searchable PDF files on the fly. If you are a bookworm and love reading books, you probably already know about GoodReader. An excellent place to discover new books, read user reviews, and discuss with the community about pretty much everything there is to know about the book. GoodReader app takes things even further. You can read, annotate, sign and fill in PDF files with the click of a button. Along with annotation, you can draw, highlight text, and bookmark pages inside the PDF. There is support for popular cloud storage services like Dropbox, Google Drive, OneDrive, etc. Plus, you can access PDF files on an eMail and SMB server too. Some PDF files can be really big. This can because of concern if you have limited space or slow or older iPad/iPhone. GoodReader will let you compress not only PDF files but entire folders (zip). Did you find a particular page that contains actionable info? You can email that single PDF page easily. GoodReader is not only a PDF reader though. You can also play audio and video files and there is support for other popular formats like HTML, MS Office formats, and TXT. Are you a musician? GoodReader supports handsfree page turns using Bluetooth pedals. I am not aware of any other PDF reader capable of doing it at the moment. A free to use, jam-packed with features PDF reader and creator! 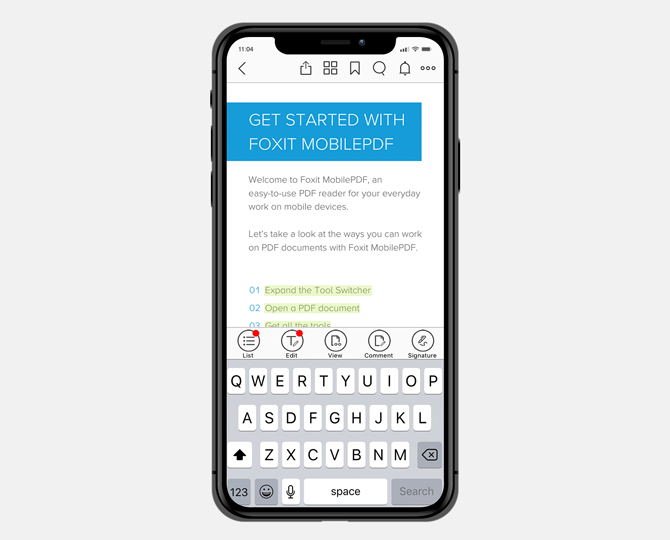 Foxit MobilePDF has long been a user favorite when it comes to PDF readers for iPhones and iPads, and for good reason too. You will find all the features that you could expect from a good PDF reader like the ability to change view type from slide to scroll to thumbnail, robust annotation options, ability to add notes and bookmarks, highlight phrases or entire paragraphs (different colors), and finally fill in forms and sign documents. Like GoodReader, you can add, remove, and reorder pages in the PDF right on your iPad/iPhone. Read a word you don’t know the meaning of? There is an inbuilt dictionary to help your vocabulary. There is a built-in scanner so you can scan any document to create a searchable PDF file. Links in PDF files are very common and but some PDF docs come with audio and video files attached. You can use Foxit MobilePDF to listen and watch these files right inside the app. After Adobe, if there is one app that takes user data seriously, it is Foxit. They developed cPDF or ConnectedPDF format to help share PDF files safely. 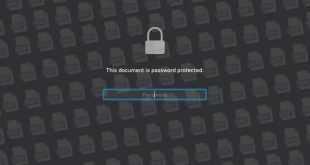 You can password protect PDFs or use Microsoft Intune and SharePoint. There is also support for Microsoft Office Suite formats like Word, Excel, etc. along with the ability to zip and unzip files. 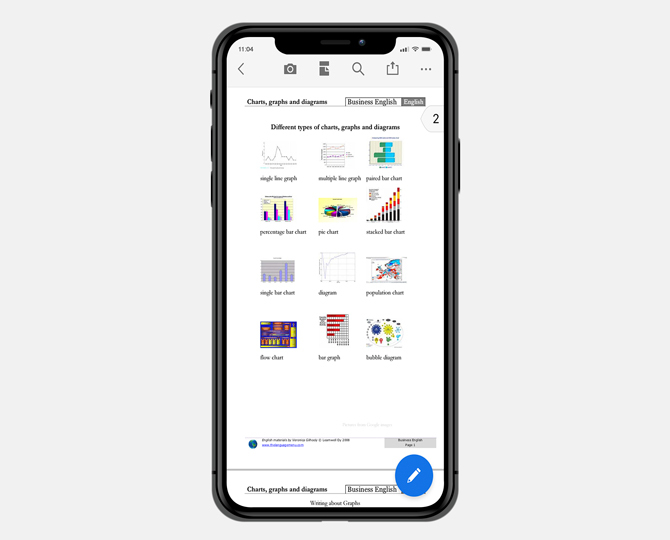 Foxit MobilePDF also offers a pro plan, PhantomPDF Business that will allow you to edit PDF files and work with images, audio, and video files inside PDF files. Documents by Readdle has a beautiful and functional UI that combines powerful PDF features like reading and annotating, highlighting text, adding comments and notes, and an inbuilt browser that acts as a dictionary. There is support for all popular cloud storage service providers like Dropbox and Google and then there is support for email, servers, and WebDAV. You can manage zip archives, use a password to protect docs, fill in forms and sign documents, and read PDFs in split view on your iPad. There is also support for MS Office file formats. You can search for text inside. Finally, there is built-in support for audio, video, and image gallery formats so you don’t have to leave the app for the same. An interesting feature is the WiFi sync which can be used to send or receive files from mobile to PC/Mac. PDF Reader by Kdan is a relatively new entrant in the market but has made a name for itself in a short time. Apart from viewing, there is support for bookmarks, annotation, and notes and comments. While annotating, you can add all sorts of shapes and even a text box. Filling PDF forms and signing works fine. There is support for all popular cloud storage services and WebDAV. KDAN have their own cloud-based SaaS product where you can store PDF files, share links with others, and edit files in real time. All of this, of course, for a premium. Creativity 365 will also let you edit PDFs, collaborate with others, share files securely, and offer 1TB of storage. You can also access your PDF files on Mac now. Pricing begins at $2.99/month. You can add links, images, and audio files to PDF but not video. One nice feature is the ability to view multiple PDF in different tabs, sort of like in browsers. Last but not least, you can add your own watermark to PDF files. 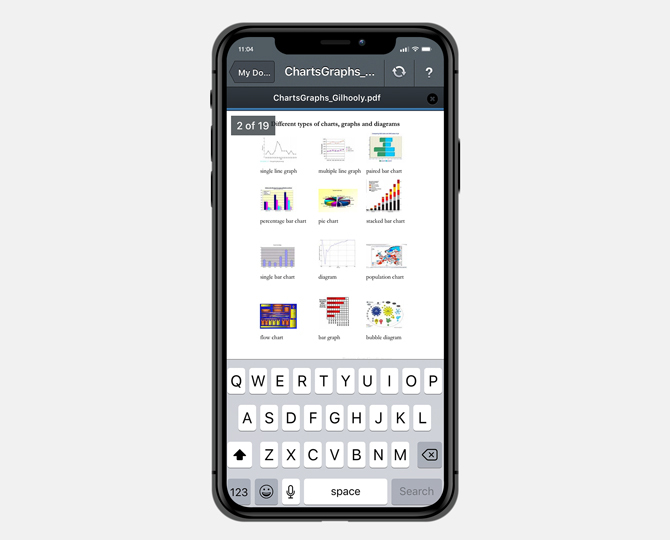 As the name suggests, iAnnotate was built to be the best in class PDF annotator app, and not just a PDF reader for iPads and iPhones. The UI is really functional and gorgeous. You can comment, highlight text in different colors, draw using different colors, fill in forms and sign PDF docs on the fly. Designed to work with iPad Pro using pencil so you don’t have to change anything. Detects automatically. The toolbar is customizable so you can keep tools that you use and need and remove the ones you don’t want. There are cloud and WebDAV support. It is a flatten option that will prevent others from removing your annotations or making any changes. There is support for other MS Office formats. You can also create and edit PDF files right inside iAnnotate 4. It is a paid app that will cost you $9.99 but is well worth the money. Another PDF reader from the house of Readdle, PDF Expert is a widely used app with a clean and beautiful UI. Apart from highlighting and taking notes/comments, you can also use strikethrough, underline, etc. to annotate the PDF files. 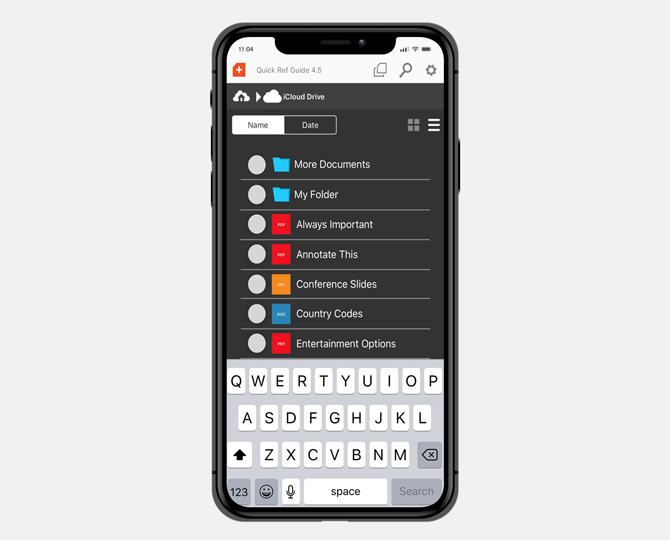 Other features include filling forms and signing documents, cloud support for popular cloud storage services, add stamps, add shapes, draw using fingers or Apple Pencil, and manage bookmarks. If you are collaborating on a document, there is a handy feature to track changes so you know who is doing what. The pro version, for $9.99, will let you edit text, add and edit images, add links, and redact sensitive data. There is no way to work with audio or video files inside the PDF file. If your work involves long PDF files and you frequently find yourself searching documents for references and texts, QuickSearch PDF Reader is for you. This is because of its ability to perform searches extra fast and handle large PDF files with ease. 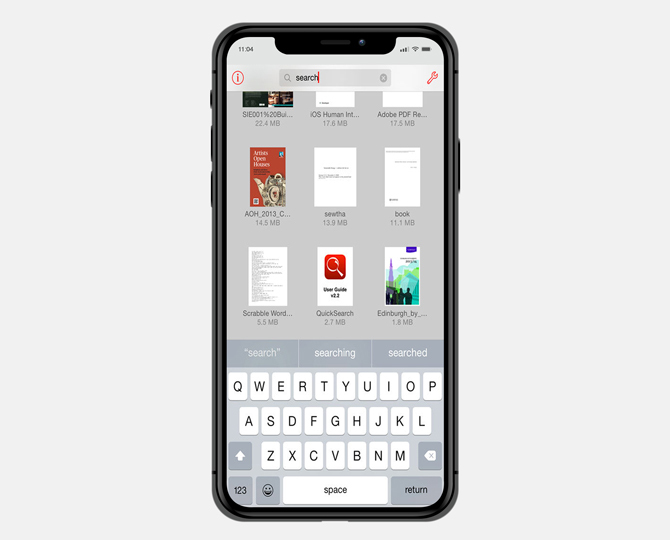 When you open a PDF file, the app will scan the entire document in the background, ready to deliver search results when you perform them. Good thinking. Not only this, if you can’t remember the document you need to search, QuickSearch will search all the PDF files at once to find what you are looking for. Other features like zoom, pan, and page turn work fast and smooth too. QuickSearch was built to do one thing and it does it well, for a price of $2.99 only. There are quite a few PDF readers available in the market and most of them offer similar features packaged in different UI and plans. If you need one that has the best features and reliable, you cannot go wrong with Adobe Reader or GoodReader. If you are looking for quick search-related features, QuickSearch is a good app. iAnnotate offers the most annotation related options and Foxit PDF Reader has always been Adobe’s competitor. I would suggest you try a few of them and see which one meets your needs. Gaurav is a tech enthusiast who loves talking about new technologies and gadgets. He dropped out of CA because he found the work boring and monotonous! When he is not following crypto and blockchain tech, you can find him binge-watching Netflix or making travel plans.